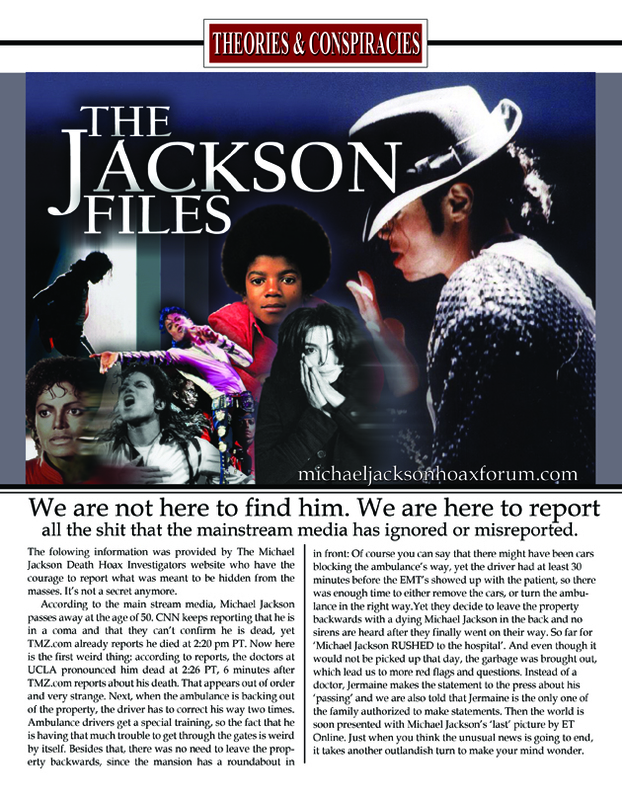 This entry was posted on March 8, 2011 at 3:50 pm	and is filed under BAM, BELIEVE than MJ is ALIVE, believers, Michael is ALIVE, Michael Jackson Death Hoax Investigators, Michael Jackson is NOT dead, MICHAEL'S WAKE-UP CALL, MJ. Tagged: HUMANITARIAN, jackson, King of Pop, michael, Michael Jackson, MJ, place with no name, Proof of Conspiracy, Sony, The Truth, thriller. You can follow any responses to this entry through the RSS 2.0 feed. You can leave a response, or trackback from your own site.